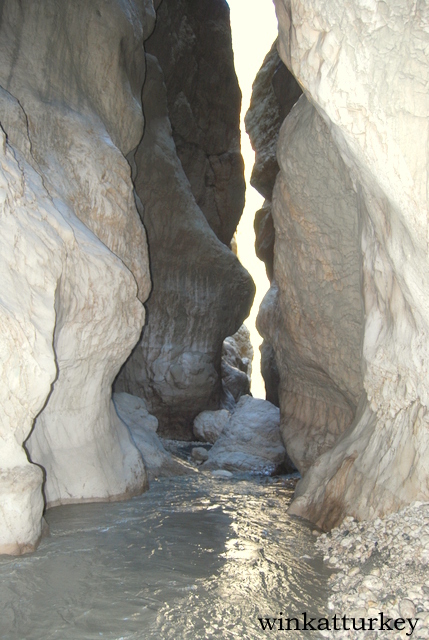 Located in the province of Muğla to 50 km of Fethiye lies the throat Saklikent, an impressive gorge with more than 18 km in length along the Mount Akdağ and with a depth of 300 meters. 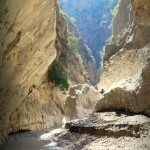 It is the longest and deepest gorge in Turkey and the second largest in Europe. A spectacular place to endless vertical walls, that rise above the river bed practically prevent the sun illuminate the path. Is the lack of sun makes the water is ice all year. 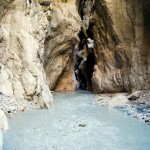 Saklikent means "hidden city", the name is perfect. 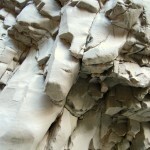 The gorge is only open to the public from 1 April and 30 September. 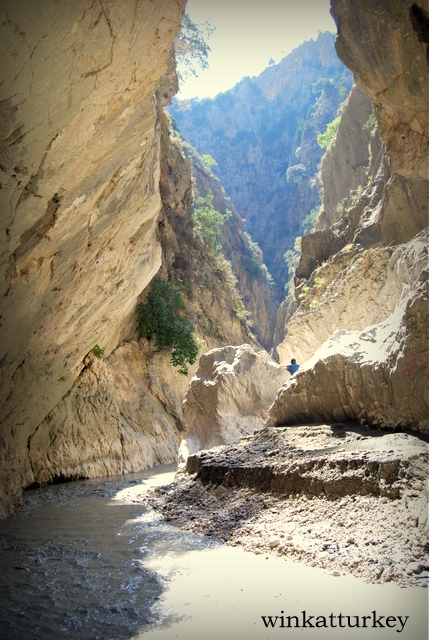 During the rest of the year it is impossible to make the journey on foot, since all the snow from the Taurus Mountains, descends through the gorge on its way to the Xanthos River, during defrost. Only 4 km can be covered on foot. Among the impressive rock walls that rise above us, walking on frozen water, stones and mud, dodging the occasional obstacle and all within a stunning natural landscape, make the journey a unique experience. If everything is done the full tour see spectacular waterfalls and small waterfalls. 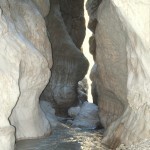 Canyon is accessed by a footbridge over the river lying, Short walk where you can admire the beauty of the place. At this stage in the mojar, but once we start the tour, following the course of the waters in the gorge, need suitable clothing and footwear. Si gonna prepared in, at the entrance there are some stores that sell and even rent right shoes for this journey. 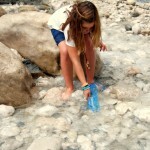 Summer is the best time to tour, the temperature is very pleasant and the water flow easier way. You can also hire a guide, the truth is that we went in late April and were very useful, because we showed the deepest areas, fanganosas and areas most especially locations where current was stronger. We did the route with children and the guide helped us a lot. I recommend setting the price to hire, some 100 Tl por 4 people. The price of admission is 3 Tl, about. 1´5 euros. 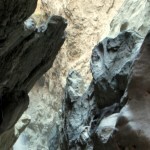 The place is ideal for trekking, rafting and even climbing. Many companies offer tours with multiple activities. You can access to own car and park it in the parking lot inside the natural park. From the bus station in Fethiye you can catch buses that lead directly to Saklikent and leave us at the entrance. If we go hungry, a great option is to try one of the restaurants that have been built as wooden platforms on the river. Once there rest in its Turkish cushions, refresh with a chilled beer or soft drink and try one of the delicious trout that breed right there. Footbridge over the river that leads to the canyon. This place was outstanding us on the trip to Turkey, but indeed we went in February and it was closed! we would have liked to meet him! Greetings from Argentina! Shame they do not see pudieseis! 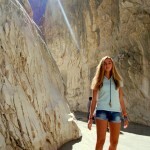 I hope the photos I may have done an idea of ​​how, really, a spectacular place. Just next time! 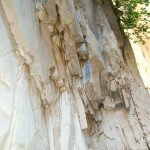 One of our favorite places to approach when we go to Fethiye…spectacular and refreshing. The first time we went my husband took me without telling me Hulusi which was our destination…My surprise was huge…I loved!. Repeat every summer.